In the prestigious Dubai International Finance Centre, Four Seasons Hotel DIFC is a boutique-style sanctuary – ideal for business trips and urban getaways. Stylish and filled with art, this intimate address features just 106 accommodations, including 28 suites. With its iconic location, fresh approach to luxury and legendary personalized service, Four Seasons is sure to exceed the high expectations in the ultra-competitive Dubai market. Successful Four Seasons Candidates will be offered once-in-a-lifetime opportunity rich in personal and professional growth. Work with a team that boasts of employee diversity of 36+ nationalities and which is built on mutual respect, collaboration, excellent service. Four Seasons provides employees with the same level of care that we expect to be shared with our guests. Four Seasons have been ranked in FORTUNE Magazine's 100 best companies to work for since 1998. 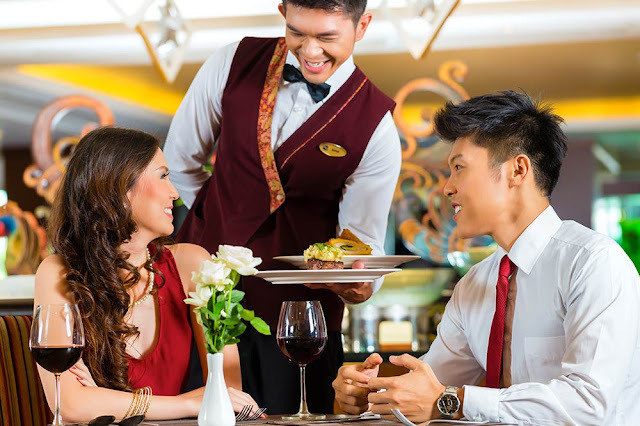 The Server position provides an expertly served beverage or dining experience; anticipating the guests’ needs and as an expert on the menu options. Provides genuine hospitality and recognition, acts as host/hostess in the work area. Promotes hotel services and products. Possesses a high degree of product knowledge and relevant technical skills. Keeps abreast of events in the Hotel. Accurately posts guest checks, processes payments and adheres to related control procedures in a vigilant manner. Takes pride in serving the guests and service is in the blood!